If you think writing and selling an e-book is too difficult or time consuming, Ryan is a great example of what is possible. He currently has 10 different e-books for sale, and all of them have been written just within the past few months. One of Ryan’s e-books is How to Create and Publish a Successful E-Book. 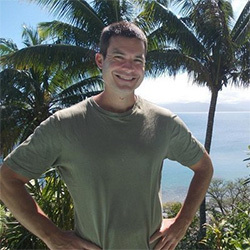 After reading this interview if you’re looking for more detailed direction on the topic you may want to pick up a copy of this e-book from Ryan’s site Blogging from Paradise, or get the Kindle version from Amazon. You can see more about Ryan’s other e-books here. Why did you choose Selz to process payments and deliver the e-books? First off, thanks so much for interviewing me. I am humbled and grateful for the opportunity to chat e-books with your audience. I chose Selz after finding the digital store through Jeff Bullas’ blog. I was looking around for a bit, and came across his e-book. After digging deeper, I liked their interface. I found it easy to buy his e-book, and thought, that’s what I want for my e-book. I want buyers to be able to pick them up easily, no fuss, no muss. So I hopped onto the site and signed up for an account. After seeing how easy it was to upload my PDF file, and cover, and write a description and title, I went with Selz as a seller. It literally takes 1-2 minutes. Not a salesmen for them nor an affiliate, I just really believe in them and appreciate how much they’ve supported me, by featuring me, and my Blogging from Paradise e-book, via blog posts and newsletters sent out to their customers. I also find their interface so darn intuitive, and easy to work. I also liked that users could use multiple credit cards as well as Paypal, if they wished too….although I still haven’t used the Paypal option lol…..I do like having it, if I decide to go down that road. Other than that, I do sell all of my eBooks on Amazon too. More on that below. What format do your e-books come in? I sell my books as a PDF on Selz and via a .epub file on Amazon, I believe. PDFs are a time honored classic and making your e-books easy to digest for mobile users is a no brainer these days, even if you have to learn quite a bit to format them. It was easy as pie, pretty much, to do the PDF thing but going with the filtered Word Doc option, and learning the ins and outs of dynamic tables, and page breaks, and what chars to use, and not to use, was a bit of a drag in the beginning. All was Greek to me, and since I’m only fluent in English and Spanish, a bit frustrating experience here. I did learn though, and am glad that I made that choice, because I’ve been publishing e-books like crazy and haven’t looked back. What software do you use to create the e-books? Right now, I write the e-book in a Word Doc, and simply convert to a PDF for Selz, saving as PDF, and I save all e-books for Amazon as a Filtered Web Page, Filtered, under the Other Formats tab. Once I save, I upload on each store front, and I am good to go. Pretty bare bones, indeed, and it helps me ship more quickly and easily. Do you sell on Amazon or any other marketplaces? Why or why not? Yep Marc, I sell on Amazon and I’d like to expand my reach to a bunch of different networks, like Barnes and Noble. Amazon is a global marketplace. I can only reach so many folks through my blog and Selz as of this moment, and I am reaching them, but Amazon is a network of a gazillion people, all of whom are shopping regularly on the site for blogging tips e-books, or for e-books that’ll help them blog from paradise. I think of Amazon as a large search engine, like Google. I came up on Page 1 of a “blogging tips” search as of last week, and virtually all of my books are popping up in the first 5-7 day pages of that competitive search. Knowing this, I’d be smart to tap into this uber passive income stream because many of my Amazon buyers had no idea who I was before I popped up under a “blogging tips” book search, or through a similar search. Also, based on the volume of books you publish you can get a more snazzy/high ranking author status. That works for me, especially at the rate I’ve been publishing books. 10 in 4 months, and more on the way. No at this time, I don’t. I’m exploring options on that though. I also am pretty brand conscious, so although I’d love to have folks selling for me, to prosper them, and me, I want to make sure anybody who sells my eBooks is fully aligned with my Blogging from Paradise brand. I am really picky about being clear on whom I do business with, where I guest post, etc….because I like keeping my rep high energy, and clean. If some make money online guy or gal is selling my eBook, and promoting it from a low energy space, this wouldn’t vibe with me, and my brand. Divergence. So although I’d like to explore options in the future, now I’m not doing the affiliate thing. Where did you find a designer? I have been friends with my man Phillip Dews for the past few years. We have built up a strong friendship by promoting each other, by helping each others, by commenting on each other’s blogs, and by patiently doing whatever we could to lift each other up. He’s a wonderful friend and super talented designer too. We have a sweet deal too; I give him designer credits, so he can receive a steady slew of referral traffic as I keep on spreading the word about these eBooks. He’s also a super cool guy, very helpful, very kind, and he bends over backwards to help you out. I am picky on my brand – I noted that, right 😉 – and he’s oh so helpful, to create designs which align with my vision. This is becoming a Phil Dews commercial but for good reason. What have you done to promote your e-books? I’ve done a few things, including, commenting on authority blogs, promoting other bloggers and e-book authors, writing guest posts, doing interviews like this one, tweeting out my author pages on Amazon and Selz, and being blessed to have fine bloggers like Adrienne Smith review my e-book(s). Really, the best way to promote yourself is to promote others, to help others, and to add value to other author’s and blogger’s lives. As I am popping in and out of doing these interviews, I’d doing something pretty neat: I’m giving away my books for free to folks, and am asking for a review in return. Only a few sentences, posted to my Amazon books pages, and to my blog post review pages, giving me some props/feedback/suggestions, and honest to goodness Marc, giving your books away for free, and asking for testimonials, is the easiest way to gain the trust of your target audience, and when people dig your reviews, they buy your books, or whatever you have to offer. Kelli and I always read reviews before we rent an apartment or home during our world traveling tour, because we want verification before we spend. We read other’s experiences, and make a decision based on their reviews. Same deal with my e-books, or with your e-books. What did you do to get endorsements/testimonials? I emailed a whole bunch of respected bloggers a copy of my e-book(s) and asked for their reviews. I always ask if, they can or can’t review, I can help them out in any way. It’s a nice thing to do. Like, someone may not review my book yet may ask me if I can help them. No sweat. I’ll help them in the best way I can because I want to keep building bonds and it’s also an abundant thing to do. I also figure that if you review other folk’s stuff, and promote them, and do smash up interviews and guest posts on their blogs, that they’ll write nice endorsements for you. In the case of guys like New York Times Best Selling Author Chris Brogan, to inspire him to tweet endorse my e-books – which he did, twice – I popped up on his radar through blog commenting, promoting him, and chatting with him via emails. The bond was formed, we became friends, and I was blessed to be endorsed by a guy who offers Tony Robbins and Richard Branson business advice. There are obviously a lot of e-books on blogging. Blogging From Paradise has a unique angle by including travel. How important do you think that has been for differentiating yourself? It’s been a difference maker, honestly. I run searches on Amazon and see many helpful blogging tips type e-books but only a few stand out, through clever titles and reviews. 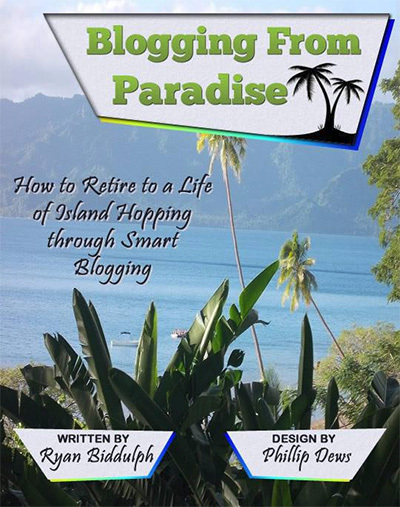 I have retired to a life of island hopping through smart blogging so my story can appeal to bloggers who want blogging tips, to work from home, or who want to simply blog on the side while working their 9-5 job. 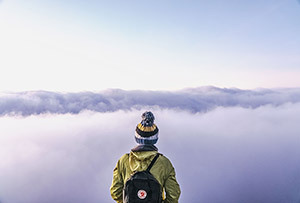 My blog appeals to travel bloggers, and digital nomads who want to be affiliate marketing or e-book selling or Udemy video course creating masters, while traveling the world. I have a wide appeal yet since I am a retired, island hopping pro blogger, it’s been a piece of cake to create and publish my blog posts and e-books with authenticity, since it’s just my story, my experience, that I’m sharing with you. You currently have 10 e-books for sale. With that amount of content you could have packaged it as a course or a membership site. What made you choose to selling the content as e-books instead? I did think about the package deal, and have done a few eBook combos that help me rake in more than $12.97 per e-book, yet I realized that the amount of time and energy to promote a membership site is too much for me to expend, and I also love doing e-books because they’re quick and easy for me. They’re affordable, and I know many bloggers from different countries want to blog from paradise and want to be able to download something that doesn’t cost them an arm and a leg. I wanted mass appeal, and hey; I’m not fully altruistic. I know that if a mass of people buys my books and reads them, and loves them, each person is a brand ambassador for me. So not only am I helping more folks blog from paradise, I’m also inspiring them to promote my books for me, to their friends, who also buy them, and I’ll certainly be blessed to make more money as more and more folks buy my ebooks, because they had mass appeal to a wide range of bloggers from all types of financial situations. What has been your biggest surprise about selling e-books? I am blessed to have a New York Times Best Selling Author tweet endorse my e-books – twice – so naturally, I can bump up the price with world renowned backing. Also, the promise of Blogging from Paradise, sharing how I created a blog that helped me live in Fiji for 4 months, among other hot spots, well, that helped me charge a bit more than the average bear. And my content, well, it’s practically, exactly, what I’ve done to live this life, so it’s authentic and accurate. That Holy Trinity of reasons helped me charge a tad under 13 bucks for each e-book and it’s been surprising to me how darn easy it is to write, to publish and to prosper, when I thought it’d be an unreal, difficult task, based on some other author’s limiting beliefs. What advice do you have for other bloggers who might be considering selling e-books? Do it. Start writing now, even before you leave Marc and me a comment, and you’ll get the creative juices flowing. Then, study folks who are successful selling eBooks. Buy their eBooks. Observe their delivery. Pay for their coaching, if they offer coaching services. Do whatever you need to do, to mimic their success….and most of all, know why you want to sell eBooks. Tie the reason to being free, and to taking folks with you, on your road to being free, and you’ll do what it takes to become a successful eBook author. Thank you to Ryan for taking the time for this interview. If you want to connect with Ryan you can find him at Blogging from Paradise and on Twitter. You can also see all of Ryan’s e-books here.